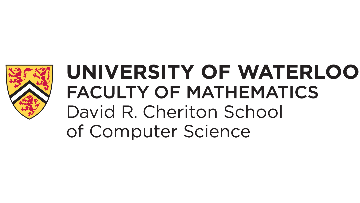 The David R. Cheriton School of Computer Science invites applications for two (2) two-year definite-term faculty positions at the rank of lecturer. A master’s degree in computer science or a related field, awarded or anticipated, is required, but preference will be given to candidates with a PhD degree. Candidates are also expected to have teaching experience. Interest in online course development is welcome. This position will normally have a teaching load of five one-term courses per year and administrative and other duties as determined by the director of the school. Other duties may consist of an additional course, academic advising, or other significant administrative duty. Typical administrative duties will consist of serving on school committees and participating in recruiting and outreach events. Reappointment at the end of the term is possible. Salary will be commensurate with experience; the salary range is $75,000 to $100,000 and negotiations beyond this salary range will be considered for exceptionally qualified candidates. The expected start date for these positions is September 1, 2019 though the actual start date is flexible. The David R. Cheriton School of Computer Science is the largest computer science school in Canada, with 95 faculty members. It enjoys an excellent reputation in pure and applied research and houses a diverse research program of international stature. Because of its recognized capabilities, the school attracts exceptionally well-qualified students at both undergraduate and graduate levels. In addition, the University of Waterloo has an enlightened intellectual property policy that vests all rights in the inventor. Please see the school's website for more information: https://www.cs.uwaterloo.ca. To submit an application, please register at the submission site: https://www.cs.uwaterloo.ca/lecturer-recruiting. Once registered, instructions will be provided regarding how to submit your full application. Applications will be considered as soon as possible when received, with full consideration assured for those received by April 12, 2019. The University of Waterloo regards diversity as an integral part of academic excellence and is committed to employment equity and accessibility for all employees. As such, we encourage applications from women, Indigenous (First Nations, Métis and Inuit) peoples, persons with disabilities, members of diverse gender identities, and others who may contribute to the further diversification of ideas. At Waterloo, you will have the opportunity to work across disciplines and collaborate with an international community of scholars and a diverse student body, situated in a rapidly growing community that has been termed a “hub of innovation.” All qualified candidates are encouraged to apply; however, Canadians and permanent residents will receive priority in the recruitment process. Three reasons to apply: https://uwaterloo.ca/fauw/why.